Fleet and lease and overall average values continued to rise in October, hitting new record levels for sectors according to BCA. 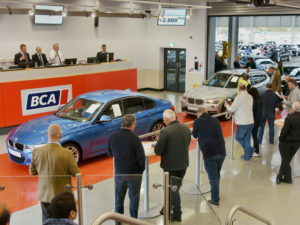 Within the fleet and lease sector, average values rose for the fourth consecutive month to reach to £10,856 – up 0.7% (£78) and marking the third month running for new record levels. Retained value against original MRP (Manufacturers Retail Price) fell slightly to 43.16%. Year-on-year values were up by £620 (6.0%), as both average age and mileage continued to reduce. Average values climbed by 2.7% (£247) to £9,364 – setting another record – following another strong trading month despite the usual seasonal fluctuations around the October half-term school holidays. Year-on-year, the headline figure was up by £773 – equivalent to an 8.9% increase in average values. BCA also reported record traffic for Live Online in the first week of October and sales penetration rising to 28% across the board.